Every family seems to have at least one picky eater that makes meal planning hard to manage. This doesn’t have to be the case. There are so many great ways to get around a picky eater and manage to have a wonderful menu that everyone will enjoy. Here are some great tips to manage picky eaters when meal planning. Thes meal planning tips with food for picky eaters will save both your budget and your sanity. The battle of meal time with picky eaters is one moms and dads have been facing for centuries. Whether it is a dislike for vegetables or someone who doesn’t like anything on their plate touching, we have all faced at least one picky eater as parents. It doesn’t have to be a constant struggle a meal time. Especially not with meal planning in advance. Yes, you will have to occasionally make exceptions, but when you plan ahead, it makes things much easier to manage. 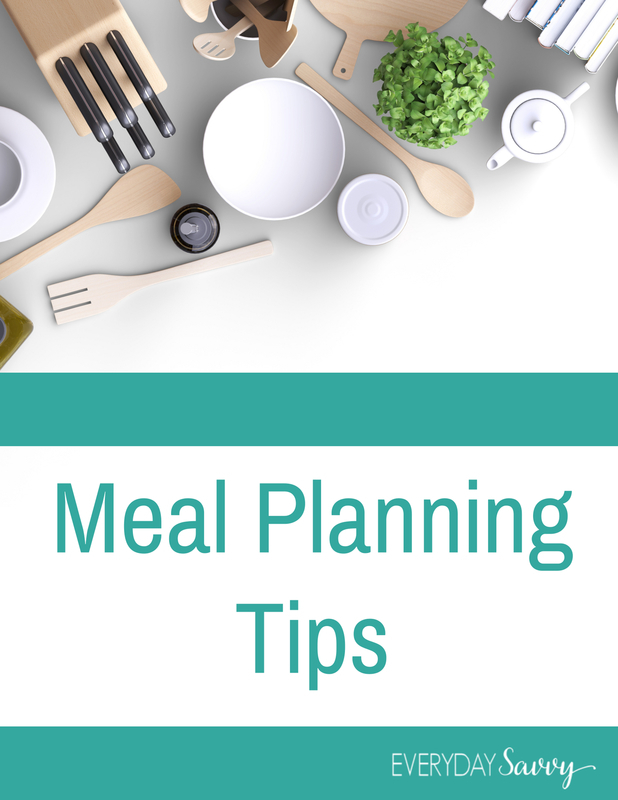 Our tips will help make meal planning with picky eaters much simpler to manage. We often get sucked into the idea of meal planning, and buy or download a ton of ideas from a website. There are many excellent menu plans out there that give you all of the details and grocery lists in one location, but not all work for your family and their preferences. One key thing to remember above all when meal planning is to slowly add new things. Start with one new recipe a month, and eventually increase to one per week if you find your family adapts well. This helps you prevent a lot of unhappy kids or adults at the dinner table, and prevents waste. If you are interested in trying a meal planning service, emeals is a great option. They have a free trial of their kid friendly meal plan so you can see whether your picky eater likes the recipes. Getting the family involved in your meal planning is a key method of making sure you have fewer complaints and more empty plates. Sit down with your family on meal planning day and ask for their requests. Consider everything they suggest, and try to accommodate at least one meal per week from that list. It may seem repetitive, but at times that is better than frustration and wasted food. Once you start putting new things on the menu, have your family make notes about whether they want to see it on the menu again. If the majority don’t like it, it won’t go back on the menu. If everyone likes it, then you can easily add it into your meal planning routine. No, you don’t want to cave to their whims by giving them the same thing every night, but on the nights you know they may not enjoy the meal option, have something on hand in your pantry they can make for themselves. An occasional peanut butter and jelly sandwich or bowl of soup is okay. One option that works great in our house is to have ready made freezer breakfast burritos that include eggs, turkey sausage,salsa, and a bit of cheese in a whole wheat tortilla. Kids can pop one into the microwave and heat up on the nights we have things like fish or vegetarian meals they don’t care for as much. While you may not want to have the same thing every single night, you can plan ahead for the nights when you know your picky eaters aren’t going to like the item added to the menu plan. Add a recipe they do enjoy the night before, and plan for a larger batch that will give them the option of leftovers. Things like soups, pasta dishes, tacos, and even hamburgers or sandwiches are great choices that most picky eaters enjoy and you can easily have enough on hand for that second meal if you want to add something out of the ordinary to your menu. Simply planning ahead like this can solve a problem and help your picky eaters feel like you are listening and care about their discomfort with certain foods. A great resource for batch cooking is the Prep Ahead Meals From Scratch cookbook. This cookbook has so many great ideas for how you can get homemade meals on the table in less time! Talk to your picky eaters about substitutions that are similar but still pleasing. Things like adding vegetables to their pizza, or having one sandwich night each week where they can have peanut butter and jelly, but have to include a fruit or vegetable on the side. You can avoid arguments over having a salad for dinner if they will eat carrot sticks, cucumbers, or even cherry tomatoes. I will often make a chicken skillet meal where I pull out my daughter’s piece of chicken before I make the sauce. So easy and it does not require making a separate meal. Yes, you don’t want to have a dozen different meals to make each night, but you can have some basic things on hand that are substitutes for items they don’t like. For those who don’t like the vegetable choice, you can keep one on hand that they do like and can fix for themselves. Sometimes, picky eaters are more than just picky or going through a stage. There are many children and adults that have true sensory issues. There are more that simply do not like flavors or textures. As a parent, we need to teach our children respect for others, and that includes the person cooking their meals. However, we need to be understanding and listen to their issues with foods. Forcing someone to eat something they have legitimate issues with is not okay. There is a big difference between a child just preferring pizza every night, and a child who has a sensory disorder that cannot handle the textures of raw vegetables, or even a food allergy that causes discomfort. Be aware and work around those issues as you are able. Meal planning around the needs of picky eaters isn’t as tough as you would imagine. It really just involves a bit of extra planning and a lot of communication. Learning what your picky eaters prefer is the key to making meal planning a success. Looking for more meal planning resources? We have got them! Check them out here.